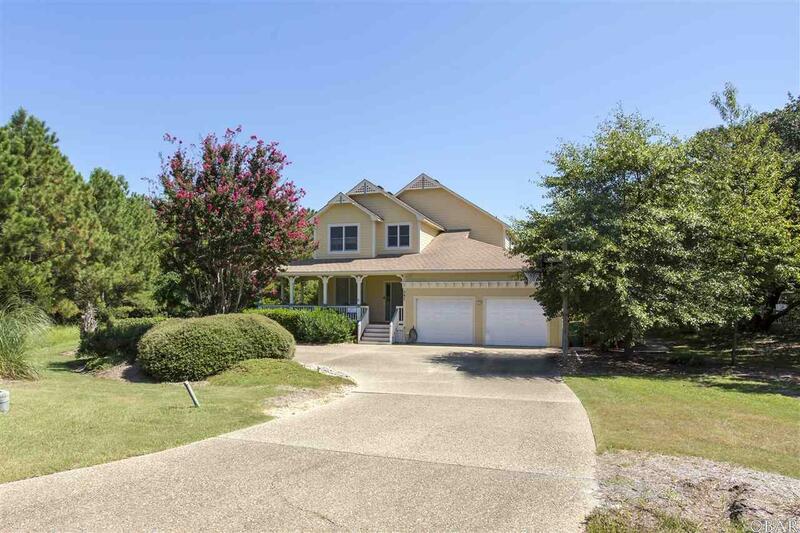 One of the most charming GOLF FRONT homes found in the GATED community of The Currituck Club! You will feel right at home the second you walk into this Southern Living Traditional 4 bedroom/3bath 2,400' home. 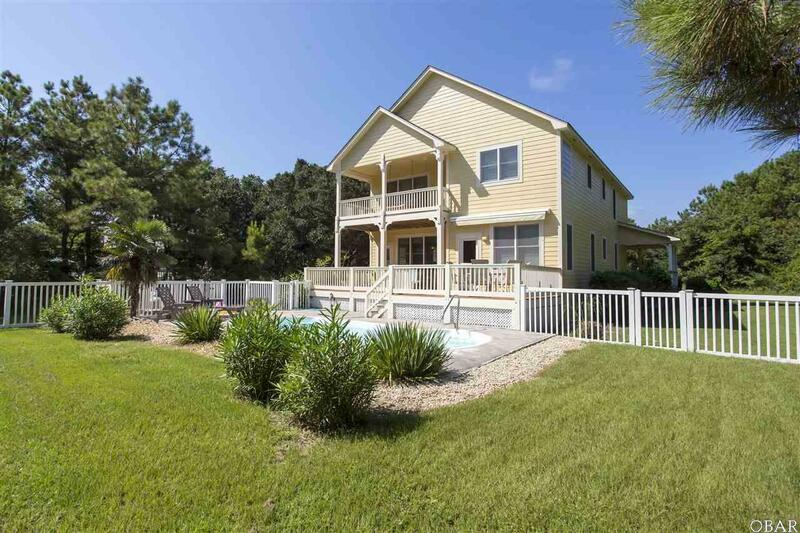 Great house for your family & summer company! Open floor plan includes a nicely laid out kitchen which leads into the living area with laminate wood floors & Gas Fireplace. Great room opens to swimming pool area & beautiful landscaped yard with Golf Course right behind you. Lots of decks for your outdoor living space, including a favorite wrap around covered deck that will take you back in time. Large Master Bedroom has a jetted tub in the master bath and a private deck that overlooks the pool. Located at the end of a cul-de-sac this home sits on a beautiful piece of property that extends .72 acres. A two car garage gives you plenty of room to add a golf cart for your summer pleasure! Outdoor shower. 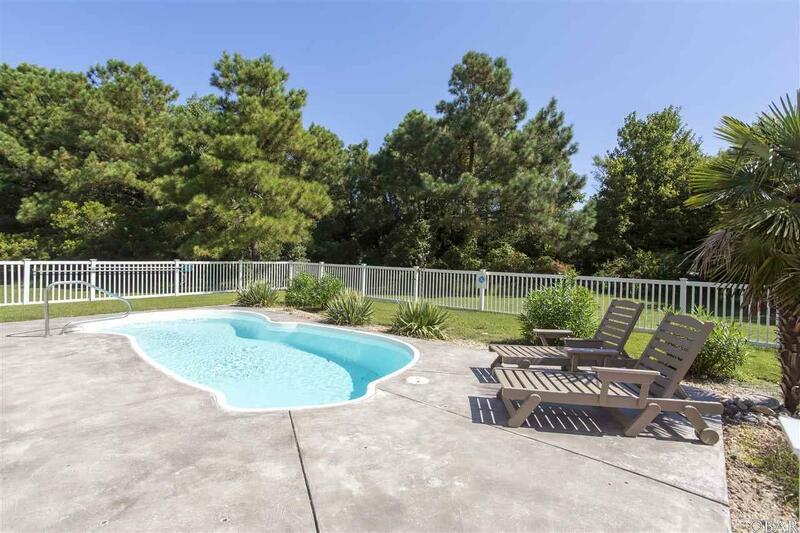 Currituck Club is one of the most prestigious communities in Corolla with an amenities package to please all! Community swimming pools, tennis courts, Club house, basketball courts, volley ball, shuffle board, playground etc. Community shuttle takes you to and from the beach! Sellers have loved this home and it shows. This home has been well maintained. 2015: New HVAC & Air Handler, inside of home was painted, 2016: expanded and replaced fence, 2017: outside of home & decks painted, New pool motor, replaced all outdoor furniture, 2018: new landscaping, new bunk beds, sofa & bedding. 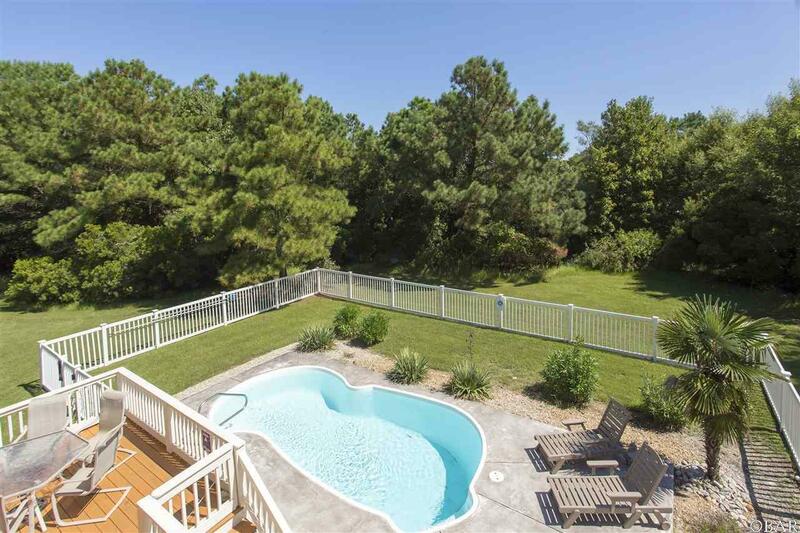 Listing courtesy of Kathleen Argiroff of Keller Williams - Obx.